As we celebrate today keep in mind all of the men and women that have given their lives trying to protect our rights! I write this from my computer desk drinking a nice Margarita, but all that are celebrating in cooler ways, have fun and be careful. 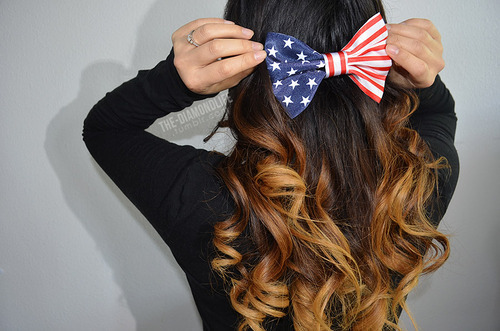 Todays look should be casual, cute and patriotic. Dont have to wear flag things, but definitely keep the American colors in mind and "wow" at a barbecue or at that special event that you have today! Take it over the top! Or keep it nice and neat!